This is Madrox the Multiple Man. A minor mutant character in the Marvel Universe, that I've always liked. He wears a special suit to keep his power in check. 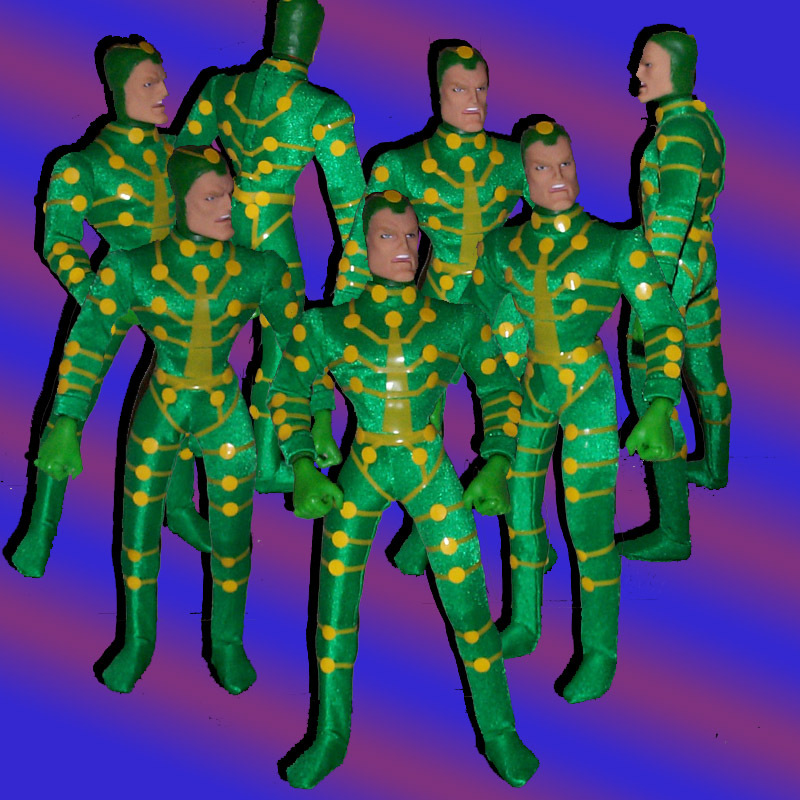 Known superhuman powers: Madrox has the mutant ability to create duplicates of himself at will by unrevealed means when violently struck (by himself or other means) or even when he snaps his fingers or stamps his foot; each duplicate is capable of independent thought and can create duplicates of himself; the original Madrox can "absorb" a duplicate back into himself at will. Madrox is telepathically and emphathically linked to his duplicates. 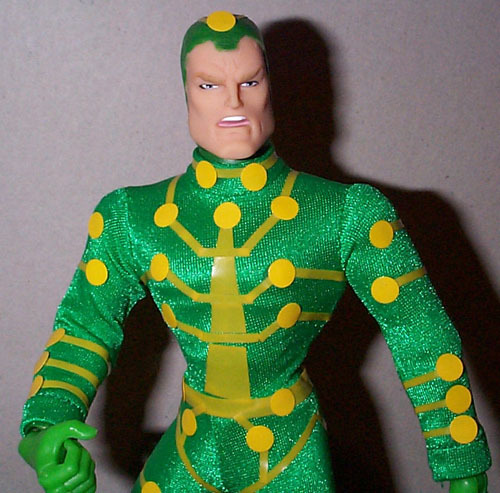 Madrox was made with a Famous Cover type 1 male body, with a bald Thor's head. His hands come from a DC 9" Martain Manhunter. The suit is hand made with lots of yellow pvc. 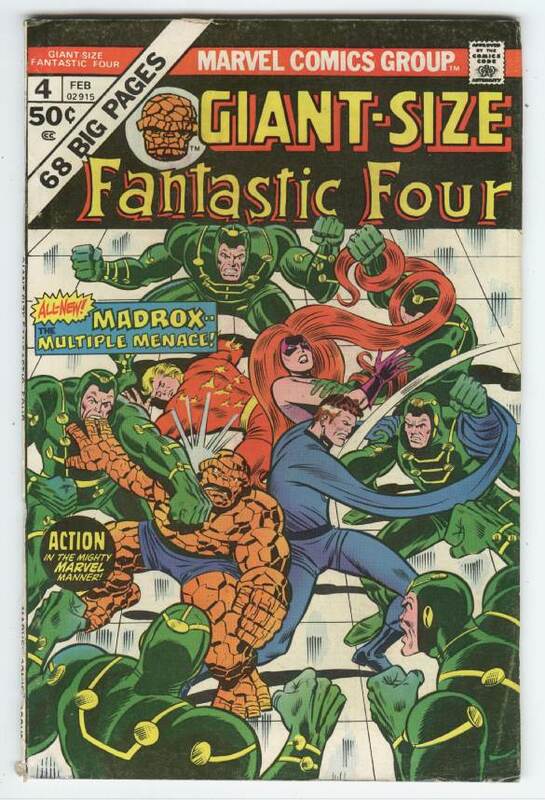 Although I based Madrox on a later appearance, here is his first appearance, and makes a good "Famous Cover".